“Diane and Stan (and Lacey) were wonderful hosts! The B&B is so nice and cozy and in a really beautiful area. My friends and I had a wonderful girls' weekend and Diane's breakfast was DELICIOUS. She also very thoughtfully accommodated for dietary restrictions and Stan very kindly cleared the snow off our cars before we left!! Would most definitely recommend a stay at the Inn on Moraine! “Warm and cosy atmosphere, a safe haven away from home. Diane and Stan were very welcoming, and Diane is a wonderful cook, beautiful breakfast. I felt pampered and was able to rest and relax. I will certainly return, next time for a get away with my husband. Beautiful acreage, wonderful accommodations. Wholeheartedly recommend!! Best sleep away from home ever!! ​“A belated but sincere thank you for our three enjoyable days at Inn on the Moraine. You made us feel most welcome. We thoroughly enjoyed visiting the area as well as the Bluegrass Festival. Regards from us all. “You have a lovely home. We really enjoyed our stay and it was lovely talking with you. “Too short” We had a family wedding, and I was grateful to find this gem to spend , not only a sleep, but food to go in AM was filling and delish. Lovely surroundings. "Can't say enough good things”. You are met by Lacy ( Labradoodle ) with a welcoming woof. She tells your gracious hosts you have arrived. Your gracious hosts are very accommodating and a pleasure to deal with and talk with. My room ( the studio ) was very clean and spacious. The mattress was very very comfy. There is every amenity in the room that you could want or need. The breakfast in the morning was excellent with nice conversation to accompany it. “My husband and I stayed here for the music fest June 3rd and 4th. Stan and Diane were the best. You couldn't ask for better hosts. the breakfast was excellent, I'm gluten free and and they had that too. They treated us as family we really had so much in common. The rooms were big and beautifully decorated. The property is lovely, lots of beautiful birds and a big lovable dog Lacey. I would stay again in a heart beat. Oh Ya! Thank you for the songs you guys sang to us I will never forget that. Hope to see you next year. ​“Wonderful bed and breakfast!” My daughter (age 9) and I just came back from staying there for an overnight after watching the Christmas parade in Schomberg, Ontario. The bedrooms were lovely and very comfortable. The breakfast was so delicious as well. Thank you to the wonderful hosts! “Very Peaceful Weekend” We arrived at Inn on the Moraine on a Friday night for a two night getaway and were heartily welcomed by our hosts Diane and Stan (along with their adorable dog, Lacey). We knew right away we were in for a wonderful weekend after meeting them and seeing the house. Our bedroom (The Indigo Room) was spacious and comfortable. Since there were no other guests there that weekend, we had the whole upstairs to ourselves. The main room is a sunlit beautiful space with sectional couch, TV, 500+ movies, a pool table, and wonderful views. Being the only guests, we also had a private washroom to ourselves. Breakfast was fantastic. There were eggs, bacon, homemade banana bread, fruit bowls, toast & preserves, roasted potatoes, and other veggies. They also made a wonderful ginger tea, which was great for my sore throat. My only disappointment was that I was starting to come down with cold, so we weren't able to enjoy the property and trails. Oh, well, that means there will be a next visit soon :) We can't wait to return! “What a lovely Bed and Breakfast!” We stayed at The Inn on the Moraine this past weekend for our wedding anniversary and loved it! The Caledon area had wonderful natural areas to explore and we even ran the Bolton Rotary Haunted Hill Run which was fun too! We chose The Studio which was great for us because it had it's own separate entrance, it was clean with lots of space and the bed was very comfortable. Diane was a wonderful host and even accommodated my dietary restrictions. Breakfast was delicious and plentiful! If we are ever in the area again we would definitely come back! “Our stay at the Inn !” We had the pleasure of staying at the Inn last week, travelling with my 3 young children, husband and mother. 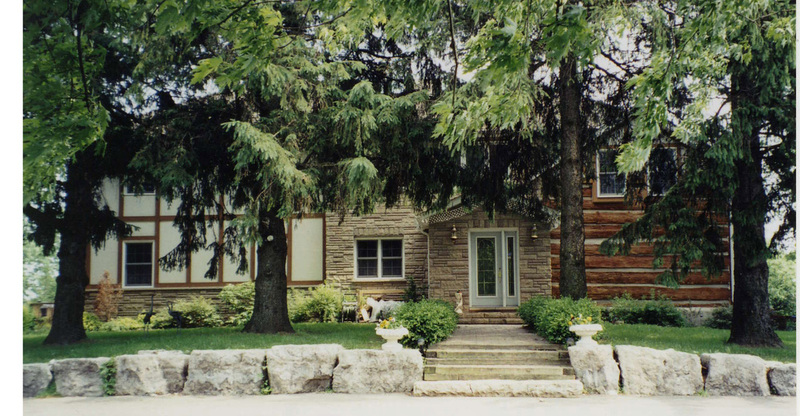 Having chosen this wonderful spot due to its proximity to both Caledon Equestrian Park and Toronto we have experienced a wonderful few days in this bed and breakfast. We were greeted and treated throughout our stay with authentic charm and friendliness particularly as we are strangers to the area and had many questions about the lifestyle here in Caledon. We had comfortable, warm and spacious accommodation and each morning had a wonderful breakfast prepared by Diane herself. I therefore would recommend this to anyone wishing to visit Caledon and the surrounding area and we are already planning another trip. “Back again!” We were in Orangeville on the weekend and unexpectedly needed a place to stay. I called Diane and we were fortunate enough to find that she did have room for us in the Studio. What a treat! We had a quiet, starlight (through the skylight) night, a delicious breakfast and off we went. My only negative comment is that it was too short! Thanks, Diane, for taking us on such short notice. ​“Buccolic charm at modern inn.” This beautifully-situated B&B is exceptionally comfortable and efficiently managed; its owners considerate and genial sharers of the bucolic charm. Our room was spacious and airy with windows looking out onto the gardens and fields of the extensive property. A really comfortable bed and the country-quiet made for a great night’s rest. The sitting chairs and a writing desk in the room make it suitable for a longer stay. The adjoining sitting room with skylights enhances this area of the house as a private apartment for the guests. ​Diane’s breakfast of fresh fruit, baked goods and hearty main, set us up for a day of exploring. The very busy birdfeeder outside the window of the breakfast room was a typical detail of the special charm of the place; another was the binder in the sitting room, documenting the history of the house, tracing renovations from its squared timber beginnings in the early nineteenth century to this delightful modern inn. “Big rooms, lots of hot water and TV channels, and very quiet and peaceful, you will sleep well. Very clean and spacious. If you are competing at Palgrave Equestrian Park this B&B is only 8 minutes away so very close and convenient for traveling back and forth”. "Diane was a fabulous host who welcomed us into her lovely home. The long tree-lined driveway lead to a charming old log farmhouse - with a large luxurious addition. Beds and linens were great and the breakfast in the morning was first class. Diane gave us great recommendation for dinner at a restored church (maybe 10 minutes away). Overall great experience. I highly recommend staying here if you are in the area. We will be back." ﻿﻿"The 'Inn' is really a 10-acre homestead owned by Diane and Stan, local musicians, and their Poodle/Retriever mix, Lacey. Marked by an ambling wooden horse fence, Inn on the Moraine snuck back past one of those lovely little lakes into a ranch-style home and a separate over-garage loft that we would call home for the next four days. You couldn't meet any lovelier hosts than Diane and Stan who served breakfast each morning on their back porch pergola. Dining on fresh baked zucchini and banana breads with local eggs and bacon, was the perfect start to a day at the Pan Am Games. Room Tip: We stayed in the garage loft, which was roomy and quiet." "We stayed at the Inn on the Moraine while at the Pan Am Games watching our daughter compete. A beautiful setting, wonderful hosts, comfortable beds and delicious breakfasts. We had our 8 month old granddaughter and her parents with us and Diane was most accommodating to meet the baby's needs. The Inn was well situated to the Caledon Equestrian Park where the competition was held. Diane was very helpful with information on the games and the area. We would definitely return to this Inn if we are ever back in the area." "My friend and I stayed at the Inn during the Pan Am Games. A lovely place to stay. Clean, good beds. Breakfast was wonderful. Grounds were very nice to stroll on. We stayed in the Studio, very private and quite. I would go back any time I was in the area." "Thanks Diane and Stan for a lovely bed and breakfast stay - and a special thanks for dropping us off at the Pan Am Games." "My daughter and I stay with Diane and Stan often, returning customers over the past 3 years in fact....It is so beautiful and tranquil there with friendly smiles and welcoming arms...The Inn is always clean and coffee always hot. I love the chats over coffee in the mornings with Diane and always take time to play with Lacey (their adorable golden doodle). Highly recommended indeed!!!" "Diane and Stan were wonderful hosts for a weekend filled with hiking and golf with friends. Rooms were spacious and comfortable with a great common area equipped with a pool table and large screen TV. Breakfast was very tasty and wonderfully presented and Stan and Diane went out of their way to make us feel right at home. We have stayed in B&Bs throughout Ontario in our quest for golf and hiking the Bruce and the Inn on the Moraine rates at the very top of the list". "Set on a picturesque and private country property, the Inn on the Moraine provides a relaxing place to stay whether you are on business or holiday. The Inn is clean, quiet, well equipped for the traveler's needs and lovingly furnished and decorated. The exceptional hosts Diane and Stan are welcoming and generous and understanding of privacy and all needs of the traveler: great beds, towels & toiletries, fridge, internet, TV, reading materials as well as sightseeing, nature trails and outdoor recreation brochures. Diane serves her home-baked breakfast loaves with fresh fruit, hot coffee and tea and any other food requests in the sunny Breakfast Nook. Although the location is in the country, small towns and the highway to Toronto are handy. We loved our experience and recommend reserving now, while there are still rooms available. Room Tip: Sage Room has a large walk-in closet & storage area but beds in both rooms are comfy". My parents and I came to this B&B during a semi-crisis with our house so we did not get to relax & enjoy as much as we would’ve liked to but Stan & Diane made it a little oasis in the desert for us. The rugged woodland outdoor surroundings with the nicely furnished, spacious bedrooms & sitting area upstairs, and the pretty little breakfast nook by the picture window with the bird feeder close up, all added to the charm of the place. (The only thing we would suggest is to put a door between the main house/kitchen and the guest area to give some sound & odour barrier and a little more privacy).Diane treated us to a substantial, tasty breakfast every morning (later even garnished with organic sprouts Smile) and went out of her way to accommodate our special diets – even adjusting her signature banana bread to make us a healthy, dairy-free, gluten-free version! Her friendly, caring hospitality was very much appreciated! Thanks again, Diane!